Though you can eat chicken with just about anything, certain sides will pair better with chicken depending on the method you use to cook the meat. If you are roasting your chicken breasts, save yourself some time and roast veggies on the bottom rack while the chicken cooks. Recipes like roasted Brussels sprouts or roasted potatoes are great picks. For fried or oven-fried chicken, cozy classics like mashed potatoes or garlic butter crescents are always winners. That too goes for saucy chicken casseroles (because who doesn’t like some extra sauce and gravy with their taters and crescents?). Grilled chicken calls for light, summery sides. Potato salads, cucumber salads and sides that use up fresh produce like zucchini will taste great alongside grilled chicken breasts. There are no hard or fast rules, however. One of the great things about chicken breasts is their versatility—they can pair with just about anything. Don’t see something you like in this list? 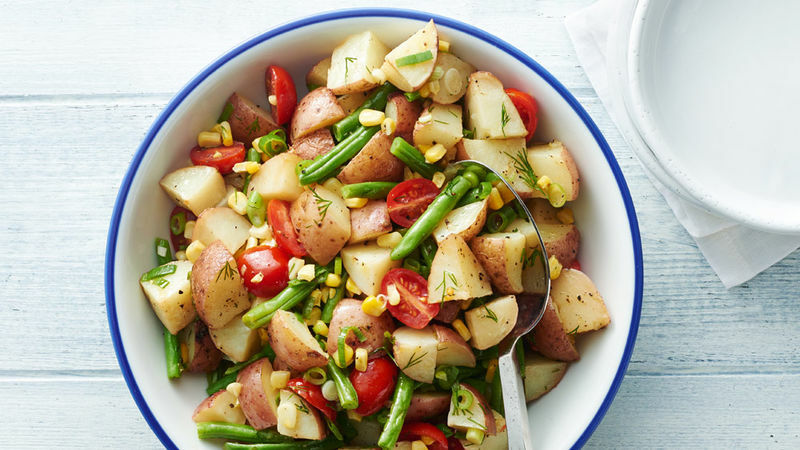 Try these easy crescent side dishes.